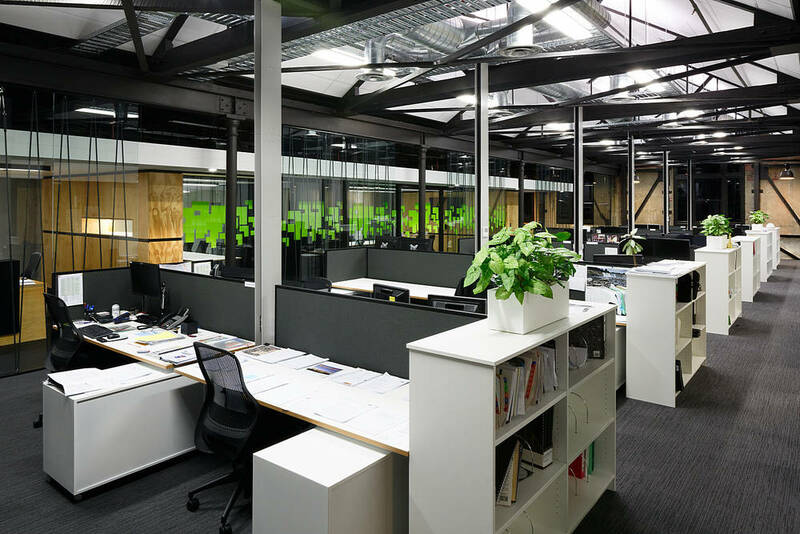 Our Brief was to create a modern open plan office for 35 staff within a gutted loft space of a historic building on Lambton Quay. Our client Harrison and Grierson had an extensive brief to accommodate the various needs of a multi discipline engineering and consultancy company. The vacant space featured exposed brick walls, shot blasted concrete from strengthening works and an uninsulated roof. Our response to this was to break the solution down into components. The existing building shell was retained utilising concrete and brick walls with cast iron columns and timber trusses. The underside of the roof had acoustic panels installed to improve internal acoustics, rain noise and thermal insulation. This ensured that the best quality open plan environment was achieved. 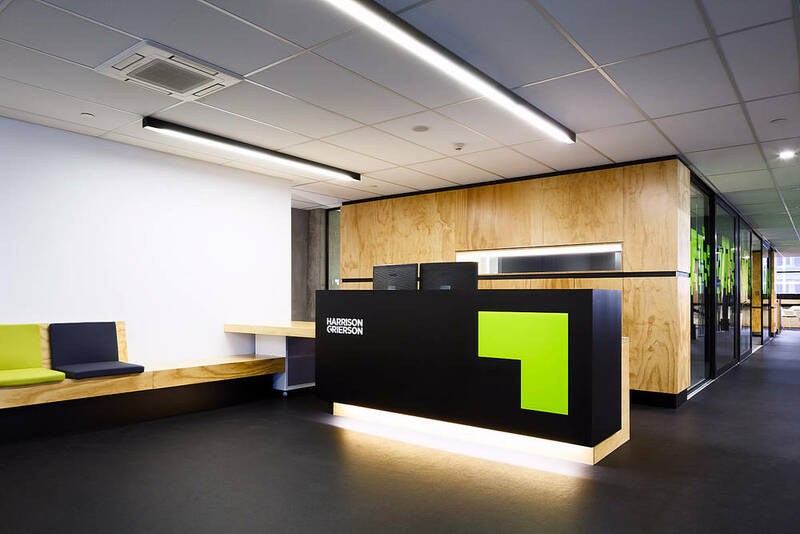 A second form was created that houses the utility space, server room, quiet rooms and ablutions. This form also creates a project space and informal meeting alcove with its location. 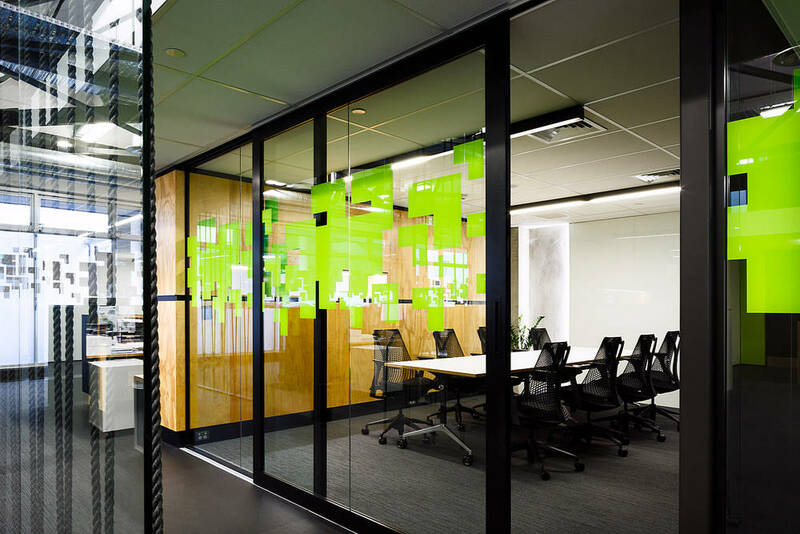 The final design solution is an articulated open plan office with virtually no walls, that is defined by a series of elements and sliding glass doors providing a variety of meeting and work spaces to support the collaborative working environment within the multi disciplinary office.